Grab a bunch of tales characters from different games and roll them all up in a ball and you got yourself a fun psp RPG. Tales of the World: Radiant Mythology uses many characters from previous "Tales" games (including Tales of Legendia and Tales of the Abyss for the PS2, and Tales of Symphonia for the Gamecube and many more) and places them in an all-new story featuring a new hero, you! 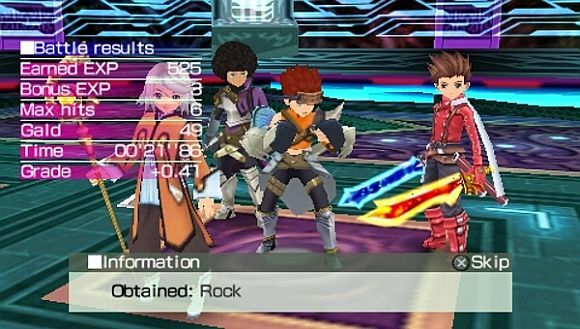 Does this all star cast of heroes make sense in this new world despite their different backgrounds, and can this game appeal to PSP users who have never played a Tales game before? However the main thing that propels this game's graphical engine to being one of my favorites is the loading times for the graphics... or rather, the surprising lack of them. The maximum loading time I experienced was about ten to fifteen seconds, and that was only when loading a save after starting up the game. Everything else loads up amazingly fast even when your character alters his or her clothing and the skits pop up almost immediately. The only bad point is that the game uses the default PSP text format, but that's a very minuscule issue that I am pointing out for the review's sake. The music and sound effects are decent and do their job, but aren't special by any means. When you get hit it gives you the same sound whether you were hit by a sword or bitten by an animal, and the attacking sound-effects for physical strikes have a similar lack of variation. There is a bit more variation in sounds for the magic though. The music that plays in towns, guilds and battle are decent but most are so middle-tier that there's a good chance that you won't find yourself humming any of the songs anytime soon (except probably for the catchy song used for the animated opening). You also get to hear the battle songs for some of the characters from other "Tales" games during certain missions, but not only this a relatively infrequent occurrence but the quality of the battle songs were reduced as well. Still the battle themes you loved from previous tales games will still sound nice. The story for this game is rather shallow. Your avatar is a person born from the mana tree (the source of all life on the planet) of ToW's world, Terresia, and with the help of a flying talking cat named Mormo have to find a way to stop the planet-eating being known as the devourer. Along the way you meet up with characters from previous tales games as well as a few new characters (including three characters not featured in any "Tales" game released in the US), but for the most part the quality of the story itself is mediocre and somewhat predictable at times. However, this shallow story is offset by the interactions between the different characters you meet. Depending on the circumstances, you will often come across some of the characters talking to each other about a variety of subjects, and through them you'll find out about the backgrounds of the characters. People who have played previous "Tales" games will spot a lot of references to events that occurred in the earlier games, but the chats are designed in such a way that it does not make a player new to the franchise feel confused and unable to understand what the characters are talking about. 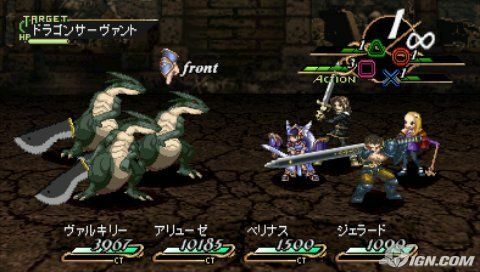 In terms of the action, this game focuses on dungeon crawling. You take quests from a certain guild you join early in the game both to continue the main story and to unlock extra features, characters and classes and then go to the designated place to fulfill the quest. These quests can range from killing a certain number of a particular enemy to saving someone lost in the dungeon to other similar things. While this system can get boring very quickly, there are two things that help keep the game refreshing. The first is the battle engine that is used whenever you touch an enemy. The game uses an interesting meld of 2-D and 3-D plane fighting. You can use the analog stick to move around in a 3-D area and you can use the digital pad to control your character linearly and allow him/her to jump. The characters you use in the fight have their own batches of skills, but your own avatar - who you ALWAYS have to use (but not necessarily control) in battle - actually needs to master (which in this case means use fifty times each) his or her gained skills in order to unlock the more advanced and more damaging skills. Also, if used properly, your skills can be chained together to make long damaging combos and, if timed right, can link up with the attacks of other people to combo for even more hits and damage. The second is the variety of classes and customization options that can help you improve your character and his/her items. By doing the massive number of sidequests, you will slowly unlock more and more extra options to use to help improve your character. Some of these unlockables are new classes that provide fresh, different ways to go into battle once you use them. Others are "recipes" that allow you to do a variety of things, from cooking items that heal your entire party to forging metals that can improve your armor statistics. To top it off, all these recipes need raw materials, so you'll find yourself spending a lot of time collecting the materials necessary to build them (and while doing so you'll inadvertently strengthen yourself in the process through fighting enemies). These options truly increase the replayability and length of the game by a good amount playing the story through without any of the quests can take as little as 20 hours, but can take up to 50 or 60 with the sidequests. One other thing that is necessary to mention is the party recruitment system. This single area has some of the most interesting ideas but also some of the worst (but relatively minor) flaws in the game. On the good side, the recruitment system has a unique aspect there is no guarantee that people you want in your party will agree to come with you for the quest you need to complete. While this may prove to be at times, this adds a realistic aspect to the party system, it feels as if the characters now have their own lives to handle and can't just drop everything just on your whim. Not only that, but the game includes its own set of default custom characters that grow in level and keep up with you, as well as upgrade their own armor. These characters also come-and-go, but whoever is available in the recruitment menu will not refuse to come with you on a quest, allowing you to fill any necessary gaps should too many story characters refuse to join you. As mentioned earlier though, this system is also home to some of the most annoying, if minor, flaws the game has. First, after every single quest (some take as little as three or four minutes to complete) your party disbands, forcing you to re-recruit people when you start a new quest, it would have at least been nice if they gave you the option of NOT disbanding your group when a quest is over, and only forcing people out if they can not participate in a certain quest for whatever reason. Second, each of the three towns has different story characters to recruit, but you can not recruit characters from earlier towns in the new one. Story-wise, this makes sense. However, this is a hassle gameplay-wise since you essentially go into one town, go into its bar, recruit one or two people, leave the town, go to the next town and recruit the other people you want from there. Considering that the story mentions that there is contact between the different towns, it wouldn't have been unrealistic if the player could "summon" the characters all from the place that the player is at now. Also, unlike the custom characters, the story characters do not level with you. In some cases (like when you reset your class to a new one) this can be a good thing since you have a high level teammate to use since all the custom mercenaries level down to your level as well. However, due to the number of quests and the fact that the story characters can and will refuse to do certain quests with you, there will be times where you will be forced to sit and watch as several characters you want to use are slowly left in the dust level-wise because they don't want to work with you. Tales of the World: Radiant Mythology is a fun dungeon crawler whose short loading times and fluid gameplay make it a great portable game to have with you. Furthermore, despite the shallow story the character interactions make the game fun outside of battle for both "Tales" veterans and new players alike. 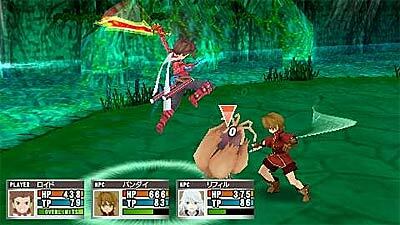 I highly suggest it for anyone looking for a fresh psp rpg and for tales veterans; Ironically, despite most of the playable characters being people from older "Tales" games, this is one of the best games to immerse new people in as they essentially get a taste of multiple Tales games at once. Any tales fans out there? RPG fans? PSP owners? Let us know what you think and don't be a jimmy. Come to me dark warriors battle awaits us! PSP owners, RPG fans, and all of those in-between who missed out on the first release of Valkyrie Profile and wanted to try it can finally celebrate. Thanks to some of the wiser people at Tri-Ace and Square, gamers can play this game once again and NOT have to worry about paying out of the you-know-what for a new copy. Valkyrie Profile: Lenneth is a fun game and although hurt by a few flaws, it stands as one of the best PSP games. This story is largely based upon Norse mythology (although it doesn't strictly adhere to it), and deals with the end of the world, and the battle between the gods. Odin, the leader of the gods, has sent out his valkyrie (you) to go and find him brave souls who are nearing their last moments in life (your party members) to send to Valhalla, where they can fight for him. This is your mission. Now, each warrior you seek out has their own individual story, detailing their last moments in life, their meeting with the valkyrie lenneth, and their decision to fight for the gods. That's the short version of this story, since I don't want to ruin it for you. Since there are many characters for you to recruit, there is a lot of side stories, many which are tragic, some might even get you choked up. That's not even considering the main character trying to realise her purpose in life, and who she truly is, and the genius wizard who is obsessed with her. A truly fantastic story! The graphics are well done, it's like having a playstation in your hands. There is hardly any noticeable slowdown in the gameplay, unlike some other PSP games I've played. All the towns have their distinctive style, and all of the dungeons look good, with a fair amount of detail added in the background. All of the characters are very well designed, which is amazing considering each of them has their own 3 hit combo and special attack (the animations for these are amazing, by the way). The best part in this category is the full motion videos. Very well done! There is even an option to watch all the FMV's you've seen before. There's a lot of upbeat tracks in the game, which help when you have to go explore some vast dungeons. There's a couple tunes I won't forget, in particular the ones they play when your meeting a hero who is about to join you. Also, the voice acting in this game is very well done. Each character has a variety of quotes they'll use before, after, and during a battle. As you progress throughout the game, you will also be able to hear all of the separate characters quotes in an extra sound option. The gameplay is really well done. There are, essentially, 3 different areas you visit: towns (used mainly early in the story, and to recruit different characters), the sky (we'll cover that in a bit), and your "dungeons". You start out, after the intro tutorial, in the sky, where you can fly around the world, to seek out those souls who are worthy. By pressing "select" in the skies, you can hear the distress calls of mortals (begin a recruitment story), or sense "great evil" in a particular area (discover another dungeon). You can also save your game and change party members in the skies. Most of the game, however, will be spent in the various "dungeons" around the world. I put dungeons in quotes because most of the dungeons are in various locales, such as woods, castles, or underground. Once your in a dungeon, the screen turns to a castlevania style game. You walk around like this, able to jump, duck, swing your sword, and shoot out crystal shards. These crystals are used to freeze enemies and make stepping stones to access higher areas. There are a couple of ways to get into a fight in these dungeons, you can either walk into an enemy or hit them with your sword. Yea... I recommend hitting them. This lets you attack first, as opposed to possibly getting attacked. Each one of your party members is assigned to a specific button in battle ( either square, triangle, circle, or X). Their order of attack depends on what combinations you hit those buttons. They can also attack up to three times with different types of attack, depending on what weapon you are using. So, you can see there is a lot of variety in the attacks, especially since some attacks will knock your enemy up into the air, making timing your attacks a factor. Each attack adds a percentage to an overdrive gauge, and once you get to 100% you can select a character to do their special overdrive attack on the enemy. This is always a good thing! One more thing to cover about gameplay is character development. One thing you might be asking is "If your sent to find souls to fight for the gods, why are those people fighting with you?". Good question. The game has a set time before the final battle at the end of the world (Ragnarok), and that time left is divided into 8 different chapters for you to play through. On each chapter, you are asked for an warrior with certain qualities. Now as your characters level up, they are given points to put into either obtaining skills or morals. Yes, you can make your character braver by putting points into it. By doing this, you can give Odin an ideal warrior. This part was hard for me. For one, your training and fighting with these characters, making them stronger and getting accustomed to them. Now you have to choose one to send away, never being able to use them again. So you have to be careful who you send, because you still need to be able to fight on. Oh, I almost forgot, after the end of each chapter you go back to Valhalla and you are rated on how well you are doing, and given gifts accordingly. You can also see how the war is going on in Valhalla and check on the status of all the warriors you have sent to Odin. They even have a list of all of their significant accomplishments while they have been there, including what rank they have achieved. There are 3 different endings to Valkyrie Profile: Lenneth, as well as 3 different difficulty settings. There are some very specific requirements to get the better ending, though, so a guide may be necessary. Also, you can access a separate bonus area by playing through in hard mode and collecting specific items. This version is definitely the one to get for any psp owner, as the playstation version can cost well over $100 for a good copy . So will you join Odin's army of warriors in Valhalla? Let us know and don't be a jimmy. Sony has confirmed that PSN services will be restored in full by the end of the week. Sony has scheduled PSN maintenance for this evening which had raised hopes that the PSN store could be back as early as tomorrow. PSN services are now expected to be fully back up online in PAL territories by the end of the week according to Sony. 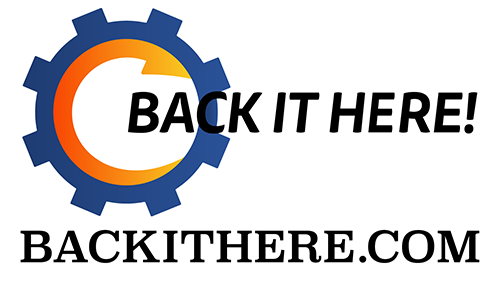 The Welcome Back/Appreciation Program offer of free games will be redeemable via a voucher code when the Store is live, with more details to come. So are you guys excited about the playstation network finally getting back to 100%? Even though i don't own a ps3 i do own a psp and i'm always happy to get some free stuff. Let us know what you think and dont be a jimmy!!!!! Remixed PSP Titles to PS3 are Coming! A remake of great games on the big screen? Sony has annouced a that PSP titles are being remaster, which will be consiste of certian titiles, and will be making released in Japan first.
" 'PSP Remaster' titles will deliver rich and immersive gaming experience on the PS3 system through stunning high-definition graphics as well as through additional new features for these titles, such as operability on the PS3 Wireless Controller (SIXAXIS® and DUALSHOCK®3), new add-on content or stereoscopic 3D support. 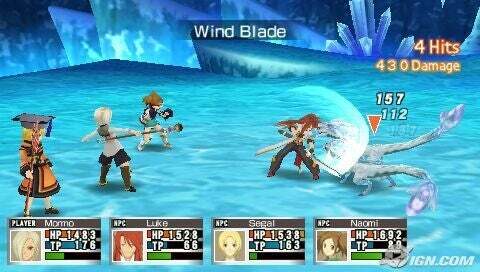 Users will also be able to utilize the same save data from the original PSP game for the 'PSP Remaster' version and enjoy the game on the go with the PSP system and continue the game at home on a large TV screen using PS3. Ad-hoc mode gameplay will also be supported through 'adhoc party for PlayStation Portable' application on the PS3 system." And the first title will be..... Drum roll please..... Monster Hunter Portable 3rd, MHP3rd! "For Japan, the first 'PSP Remaster' title to be introduced will be Monster Hunter Portable 3rd HD Ver. 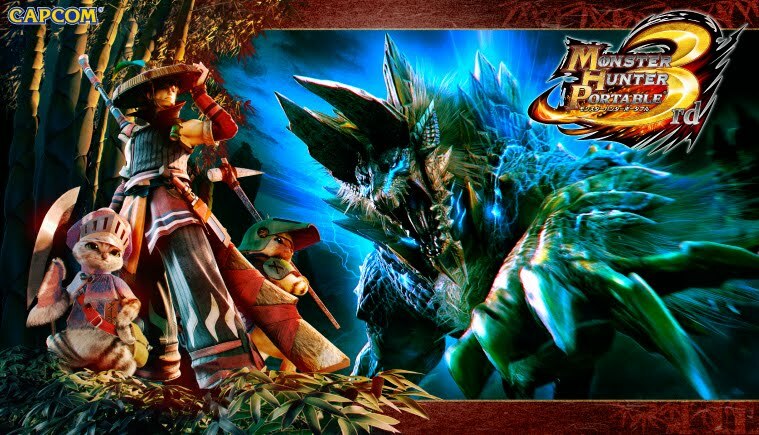 from Capcom Co., Ltd. Monster Hunter Portable 3rd for the PSP system is the latest installment of the blockbuster Monster Hunter franchise, which has alone shipped over 4.5 million units in Japan since its release in December 2010. The graphics of the PS3 version, including monsters, fields, equipment, as well as Felyne Comrades, are more gorgeous and vibrant than ever, and will deliver dynamic gameplay when played on the large TV screens." Now, we, North America and Europe, have to wait for further news, since this is only in Japan for now. So what game(s) do you want in the new "PSP Remaster" series? Let us know, down below! BlazBlue character set to get dirty? Noel Vermillion may be getting ready to show some skin. Mai Shiranui will be there also. It's a special kind of strategy RPG being brought to Japan by Namco Bandai, for some reason I don't see it making it to the US. If you notice that the game has a panic button you might understand why we won't get it over here. And here is a video for the game. 16 years ago we had our first chance to play, and we've had a few chances since then. Here comes another. In 1995 a legend was born. Six years later in 2001 the game joined Final Fantasy IV as Final Fantasy Chronicles on the PSX. And again in 2009 on the DS. There have been millions of copys sold, but the game continues to do well. Some of the people that will pick it up this time around weren't even born when the game first came over to the U.S. Who doesn't remember the first time the watched Chrono from over head as he made his way towards enemies as you jump through time. Or the first time you watched Cyclone and Flame Toss combine into Flame Whirl. And with 13 possible endings players dumped countless hours into the game. We also got started with the game plus feature, that RPG fans everywhere still look for when the get a new game. 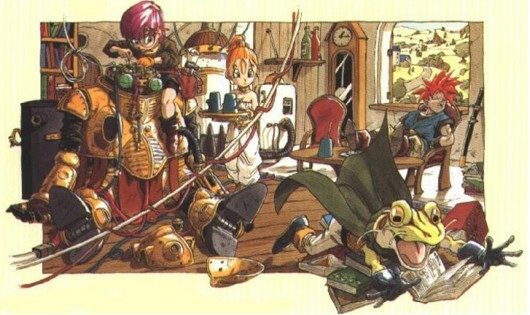 As a game that defines what RPG means to many life long players Chrono Trigger shows no sign of going away. How many of you own a copy of the game in any of it's forms? Planning on getting it again? Anyone want to see another sequel made? They haven't mentioned a release date yet. But the ESRB has rated it. Looks like the ratings boards are tipping us of early on a lot of games now. Maybe these companies need to start talking to the public a little sooner. The trailer for the portable Blazblue Continuum Shift II was released awhile ago and it shows some of the new features to be included. The game will include Continuum Shift's story with some added content to it, new maps for legion mode, and a new abyss mode where you'll probably have to fight countless enemys at a time or something like that. The only things I didn't see was if everyone's unlimited forms were unlocked at start and any online announcement. Big Sandwich Games announced today that their award-winning strategy title HOARD is available for purchase in North America on the PSP system. To celebrate, the publisher has also put the PlayStation®3 computer entertainment system version on sale. I played the demo for this on the PS3 and thought it was pretty good. It's nice to see it coming to portable form. Here is a trailer of the game to give you an idea of what it's about. Check out the press release info below. Both versions are currently selling for the low price of $9.99, although the PlayStation®3 system discount is for a limited time only. The titles can be purchased via the PlayStation® Network. HOARDTM puts players in the role of a dragon, fighting against towns, knights, giants, wizards, and thieves in a quest to gather as much gold as possible. The game includes over 35 levels, single player challenges, co-op and competitive multiplayer (PlayStation®3 system), and 90+ badges to earn. The gameplay is a cross between a dual-stick arcade shooter and an RTS, with significant elements of strategy and deeper systems. What do you Jimmys think? Has anyone played the PS3 version yet? Did you like it, It's now on sale so get it while you can. Tell us what you think in the comments. Don't be a Jimmy! Have you ever wanted to battle it out as some of the biggest names in the Square Enix roster? Final Fantasy has been an icon for many gamers world wide, we have put countless hours into the games, and we still come back for more. 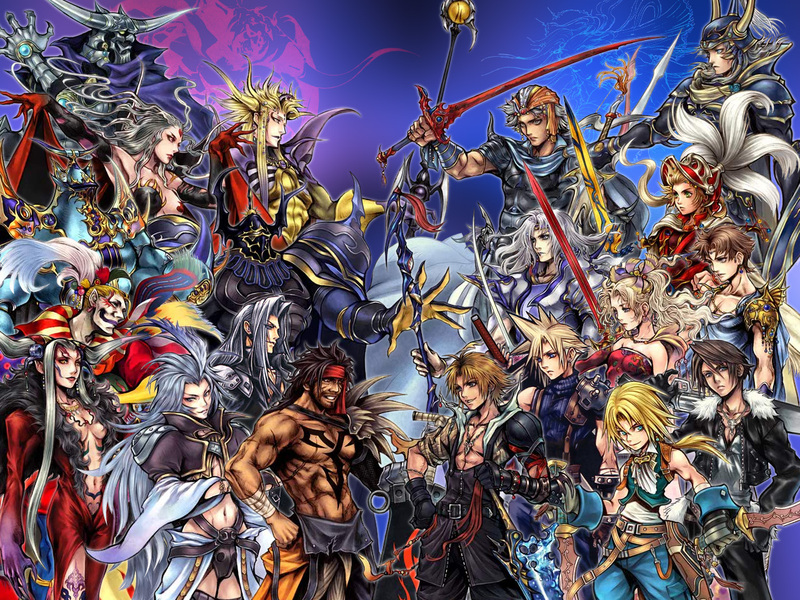 Dissidia 012 is a prequel to the previous PSP game, and it will let you fight as your favorite characters. and I guess this wouldn't hurt.. The game will be here March 22, so what do you need to know? The roster? Ok. The Original cast, Warrior of Light (Final Fantasy), Firion (FF2), Onion Knight (FF3), Cecil Harvey (FF4), Bartz Klauser (FF5), Terra Branford (FF6), Cloud Strife (FF7), Squall Leonhart (FF8), Zidane Tribal (FF9), Tidus (FF10), Shantotto (FF11), Cosmos (Dissidia), Garland (Final Fantasy), The Emporer (FF2), Cloud of Darkness (FF3), Golbez (FF4), Exdeath (FF5), Kefka Palazzo (FF6), Sephiroth (FF7), Ultimecia (FF8), Kuja (FF9), Jecht (FF10), Gabranth (FF12), Chaos (Final Fantasy). Pretty good right? 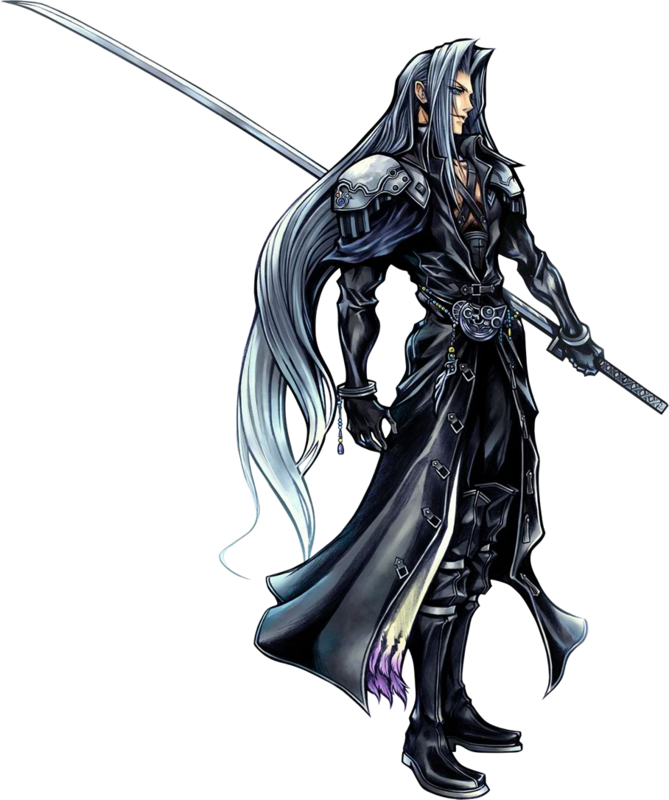 But then you add a few new ones, Kain Highwind (FF4), Gilgamesh (FF5), Tifa Lockhart (FF7), Laguna Loire (FF8), Yuna (FF10), Prishe (FF11), Vaan (FF12), Lighning (FF13) and how about add Aerith as a support character if you play the demo. You get a Fighter an a Single Player Story mode, so it's got plenty to offer. I wish it was on the PS3, but the PSP will do just fine. Will you be picking it up? Who will you play as first? Don't be a Jimmy. Some people lack the urgency or ability to check/reply their emails or their text messages when they want to sell their video games or equipment. I email/text message/call about 10 people on their Craigslist ads regarding the PSP they want to sell. Some don't include the model #. Is it a 1001? A 2000? A 3000 model? Is it even slim? Does it have a memory card or chargers? What size is the memory? What's the physical/mechanical condition of the system? Did your kid smash it on the ground before you were trying to sell it? They leave out so many information at times, it requires 2 or 3 follow up emails which spans over a week and they end up dropping the ball somewhere and forget about your email/text message altogether. Then you find out a week later, after continuous follow up, they say "Sorry dude, it's sold". I'm like WTF man. I been trying to follow up with you and you sell it to some random fucker that says, "I'll buy". I'm surprised that anyone ever sells anything on craigslist because i get the feeling that 95% of the sellers on there are so lackadaisy that they never really wanted to sell it in the first place. They post it online to see how much it's worth locally and never reply back to you. Show some damn common courtesy because the guy asking for the price and is WILLING to meet up anytime just MIGHT be looking to play PERSONA and P3P and needs to find a PSP locally.